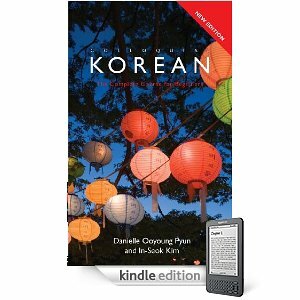 The first advanced Korean reading text for non-native speakers, Selected Readings in Korean consists of eighteen lessons on diverse, stimulating topics such as Korean traditions, culture, and society. It is designed for use by students who have completed the fourth-year-level in Korean (approximately five hundred class hours) or the equivalent. Each lesson consists of six sections: pre-reading group activities, which not only serve as a schema for efficient comprehension of the reading text to follow, but also help students broaden their relevant knowledge; an authentic main reading text on an informative and interesting topic; explanations in Korean and English of words that may be unfamiliar to students, including words indicating abstract or culture-specific concepts; explanations of idiomatic expressions; extensive exercises intended to help students master the contents of the text, new vocabulary, and grammar while improving their composition and oral presentation skills; and post-reading activities designed to further thinking and group discussion on subjects related to the main topic of the lesson. Appended are translations of the main reading texts of all eighteen lessons and a Korean-English glossary. Overall, special effort has been made to render the volume learner-centered and learner-friendly. Intended as a companion to the popular KLEAR Textbooks in Korean Language series and designed and edited by a leading Korean linguist, this is the first volume of its kind to treat specifically the critical role of language in Korean culture and society. An introductory chapter provides the framework of the volume, defining language, culture, and society and their interrelatedness and presenting an overview of the Korean language vis-à-vis its culture and society from evolutionary and dynamic perspectives. Early on, contributors examine the invention and use of the Korean alphabet, South Korea’s "standard language" vs. North Korea’s "cultured language," and Korean in contact with Chinese and Japanese. Several topics representative of Korean socio-cultural vocabulary (sound symbolic words, proverbs, calendar-related terms, kinship terms, slang expressions) are discussed, followed by a consideration of Korean honorifics and other related issues. Two chapters on ! Korean media, one on advertisements and the other a comparative analysis of television ads in Korea, Japan, and the U.S., follow. Finally, contributors look at salient features of the language, narrative structure, and dialectal variation. All chapters are accompanied by a set of student questions and a useful bibliography. Throughout, technical language is kept to a minimum and sufficient language examples are provided. A beginning level of proficiency in Korean is sufficient to digest the Korean examples with facility, making this volume accessible to a wide range of students. Readings in Modern Korean Literature provides advanced students (those with at least four years of college-level training in Korean) with materials that will help them understand and appreciate modern Korean literary traditions as well as challenge them to use their Korean-language competence to the fullest extent. It offers the student a wide range of literary writing, including three different genres of poetry, short stories, and essays. Each piece is accompanied by a vocabulary glossary and notes, explanations of socio-cultural details, an introduction to the author, and a translation. The textbook is distinguished by a variety of exercises designed to enhance students' proficiency in referential reading, writing, and comprehension skills. Readings in Modern Korean Literature fills a serious gap in learner-oriented comprehensive texts for students of Korean literature and culture. It will give them the opportunity to explore the most salient themes, forms, and techniques that inform Korean literary texts and give them a sense of the flow of modern Korean literature. This textbook is the tenth volume in a five-level series (Beginning 1 and 2, Intermediate 1 and 2, Advanced Intermediate 1 and 2, Advanced 1 and 2, and High Advanced 1 and 2) developed collaboratively by leading classroom teachers and linguists of Korean. All series’ volumes have been developed in accordance with performance-based principles and methodology—contextualization, learner-centeredness, use of authentic materials, function/task-orientedness, balance between skill getting and skill using, and integration of speaking, listening, reading, writing, and culture. Grammar points are systematically introduced with simple but adequate explanations and abundant examples, exercises, and drills. Each lesson of this volume consists of pre-reading activities, one or two main reading texts, new words, useful expressions, exercises, comprehension questions, related reading, discussion and composition, and English translation of the reading texts. A Korean Reader for Chinese Characters will help students of Korean master basic Chinese characters that are frequently encountered in everyday situations. More than five hundred characters are targeted in exercises that aid in the efficient study of the forms, meanings, and sounds of individual characters and their compounds. Although the primary goal of the Reader is recognition of basic Chinese characters, students are encouraged to learn to write them properly by inclusion of a section on stroke order. The Reader is also designed to reinforce skills in reading and writing in Korean while studying Chinese characters. Forty lessons are preceded by an introductory chapter on the principles of Chinese character formation and reading and writing characters and followed by appendices on stroke order, English translations of the main reading text of each lesson, and an index of characters. The lessons are organized into seven parts: new characters, reading text, glossary, notes, new words in characters, more words in characters, and exercises. After every fifth lesson, there is a section reviewing all the characters introduced in the preceding five lessons. This textbook is the eighth volume in a five-level series (Beginning 1 and 2, Intermediate 1 and 2, Advanced Intermediate 1 and 2, Advanced 1 and 2, and High Advanced 1 and 2) developed collaboratively by leading classroom teachers and linguists of Korean. All series' volumes have been developed in accordance with performance-based principles and methodology--contextualization, learner-centeredness, use of authentic materials, function/task-orientedness, balance between skill getting and skill using, and integration of speaking, listening, reading, writing, and culture. Grammar points are systematically introduced with simple but adequate explanations and abundant examples, exercises, and drills. Each lesson of this volume consists of pre-reading activities, one or two main reading texts, new words, useful expressions, exercises, comprehension questions, related reading, discussion and composition, and English translation of the reading texts. Integrated Korean is a project of the Korean Language Education and Research Center (KLEAR) with the support of the Korea Foundation. This textbook is the seventh volume in a five-level series (Beginning 1 and 2, Intermediate 1 and 2, Advanced Intermediate 1 and 2, Advanced 1 and 2, and High Advanced 1 and 2) developed collaboratively by leading classroom teachers and linguists of Korean. All series' volumes have been developed in accordance with performance-based principles and methodology--contextualization, learner-centeredness, use of authentic materials, function/task-orientedness, balance between skill getting and skill using, and integration of speaking, listening, reading, writing, and culture. Grammar points are systematically introduced with simple but adequate explanations and abundant examples, exercises, and drills. Each lesson of this volume consists of pre-reading activities, one or two main reading texts, new words, useful expressions, exercises, comprehension questions, related reading, discussion and composition, and English translation of the reading texts. Integrated Korean is a project of the Korean Language Education and Research Center (KLEAR) with the support of the Korea Foundation. This textbook offers a complete first year course for learning Korean. Loosely based on Beginning Korean by Martin and Lee, it includes updated dialogues, grammar notes, and transcription in the Han'gul character system. The main objective of this book is competence in spoken Korean through a streamlined introduction to the fundamental patterns of the language. Based on the ACTFL Proficiency Guidelines, this book will provide students with an Intermediate-Low to Intermediate-Mid proficiency level. Reading passages enhance the lessons.